In recent years, the National Labor Relations Board has issued rulings paving the way for a new form of organizing employees — the “micro-unit.” As described in the NLRB’s 2011 decision Specialty Healthcare and Rehabilitation Center of Mobile, 357 NLRB No. 83 (Aug. 26, 2011), a micro-unit allows the organization of a subset of employees who are “readily identifiable as a group (based on job classifications, departments, functions, work locations, skills, or similar factors)” and who share “community of interest.” Under prior rulings, such non-majority units were deemed too small to be permitted as bargaining units. However, commencing with Specialty Healthcare, the Board has reversed their prior rulings. In Specialty Healthcare, the union sought to represent all CNAs, which comprised approximately 60% of the nursing home’s non-supervisory, non-professional employees. In allowing this non-majority unit to organize, the Board overturned two decades of case law that previously banned such practice. 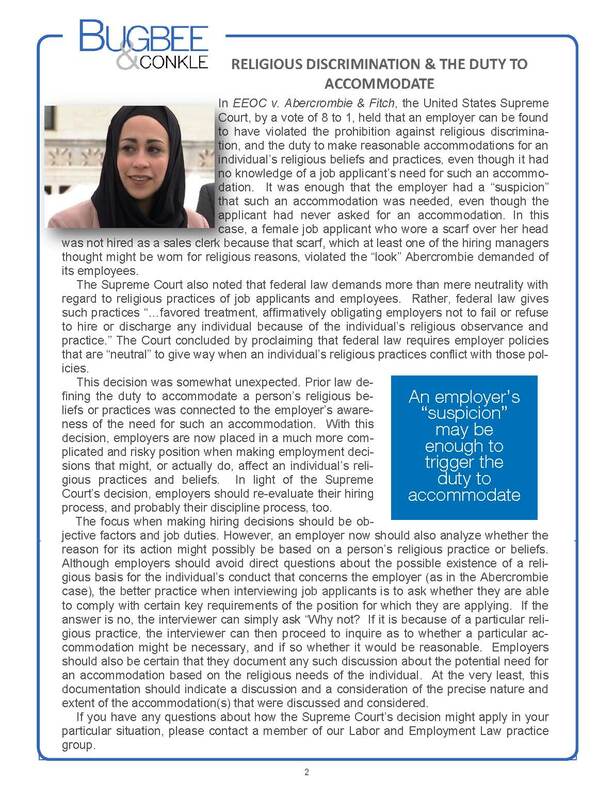 In making its ruling, the NLRB noted that a union does not need to encompass all potentially appropriate employees, but merely be an appropriate unit of employees with a shared community of interest. Therefore, simply being a small unit does not alone render the unit inappropriate. Under this standard, the Board acknowledged that there can be more than one appropriate grouping of employees possible. In finding the group of CNAs to be an appropriate unit, the Board noted they were different from other non-supervisory employees (largely maintenance, supply, and dietary employees) because they were required to be state certified, they were the only group of non-professionals staffed 24 hours in shifts, and they were all supervised by a different set of supervisors than the other non-supervisory employees. 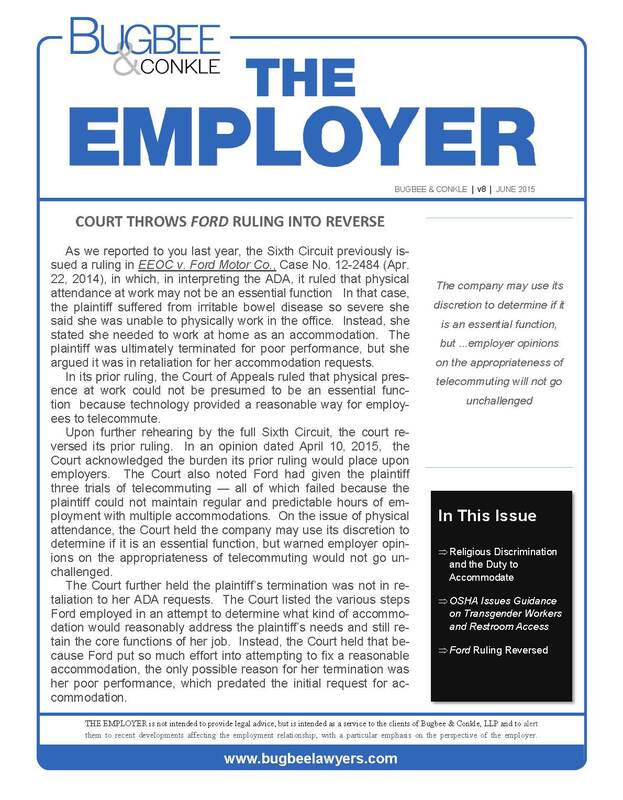 The Board further held that an employer’s only defense to the finding that a unit was otherwise appropriate is to show that other employees who share an “overwhelming” community of interests with the proposed unit, should be added to same. Later, in Macy’s, Inc., 361 NLRB No. 4 (July 22, 2014), the Board further clarified its position with respect to micro-units, dispelling any possibility that the holding of Specialty Healthcare might be limited to the health care industry. In that case, the 41 employees of the fragrance and cosmetics department at a single store location, out of 120 total sales employees within that store, sought to organize. Again the Board found this non-majority unit was an appropriate unit because the group had meaningful differences from other sales staff in hiring, training, uniforms, and supervisors. Maintenance department employees at a Nestle Dryer’s Ice Cream manufacturing plant. On November 3, 2015, Ohio voters will decide whether or not to legalize marijuana use. A group of citizens known as Responsible Ohio have placed an initiative on the ballot to amend the Ohio Constitution, which is set forth as Issue 3. Presumably, if Issue 3 obtains a majority of the votes, it will become law 30 days after the election. However, through a joint resolution of the General Assembly, a separate constitutional amendment also has been placed on the November ballot, which provides that a proposed constitutional amendment by initiative petition which creates a monopoly, cartel, or oligopoly shall not take effect. This second proposed amendment is Issue 2. According to the Ohio Constitution, amendments by joint resolution take effect immediately. The Secretary of State has described Issue 3 (legalized marijuana) as creating a monopoly because the amendment limits the number of marijuana growing facilities to 10. If Issue 2 and Issue 3 both pass, the immediate future of legalized marijuana is unclear. Issue 2 seems to bar Issue 3 if both issues pass. However, Article II of the Ohio Constitution provides: “If conflicting proposed laws or conflicting proposed amendments to the constitution shall be approved at the same election by a majority of the total number of votes cast for and against the same, the one receiving the highest number of affirmative votes shall be the law, or in the case of amendments to the constitution shall be the amendment to the constitution.” Ultimately, the Ohio Supreme Court has original jurisdiction over the resolution of any conflict between Issues 2 and 3. The Department of Labor is considering a new rule that may qualify after-hours use of electronic devices as overtime work. The DOL announced it would seek public input on this topic by the end of September. The question that arises is whether the after-hours use of an electronic device for work is substantial enough to trigger overtime coverage or whether the work is “de minimus.” There is no clear definition of what “de minimus” means, which may be a subject on which the DOL wants input. Transient email use is probably considered “de minimus;” however, where does an employer draw the line? Is the policy limited to email only? Does the policy limit the number of hours of after-hours access? Does the policy establish an email curfew? What types of employees have access to work networks from a VPN (virtual private network) and for what purpose? How much time are employees currently spending accessing work email or networks after hours?